If you’d like to receive updates about our latest shipments, sales and news then join our mailing list. Bandolera Tango Shoes is an widely-recognized brand from Italy , which keeps the best traditions of Italian shoe artisans and craftmanship together with exquisite design. Being passionate about Argentine Tango, Bandolera company has put a lot of effort into research collaborating with famous dancers and various specialists to create a line of luxury tango shoes which are beautiful but also super comfortable. The Bandolera Shoes for men and women quickly gained popularity as they are well known for their high level of comfort and good fit due to extra thick plantar cushioning for the ball of the foot, so NO MORE PAIN ! Bandolera Men’s shoes are known for their soft ,shock absorbing heel for extra comfort. Dancing in Bandolera shoes will give you a feeling of lightness and comfort that we invite you to personally experience. Choose your pair from the wide range of models and colors offered in a huge selection of elegant designs. 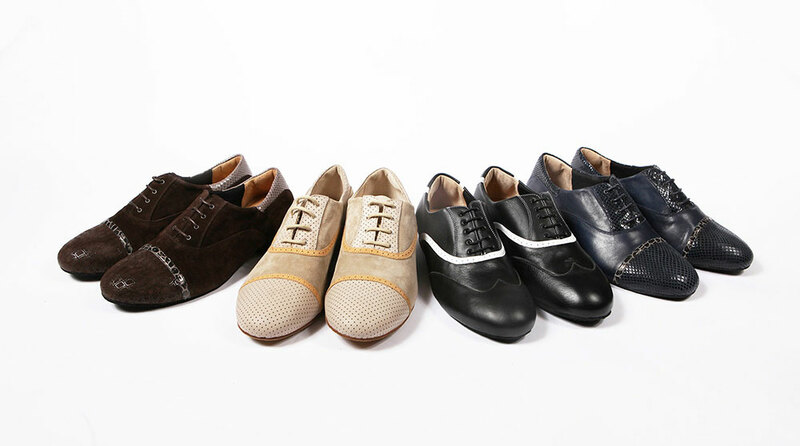 Bandolera Tango Shoes are also famous by their VEGAN collection of tango shoes. All shoes have comfy soft cushioning for the ball of the foot which add to your comfort while dancing. In 2004, in italian countryside near Rimini, an ambitious project was born: to combine the great experience as Tango Teacher of the owner of the company, with a new line of innovative and high-performance footwear. This project was given the name of Bandolera Tango Shoes. Early Bandoleras were made thanks to the collaboration with non-professional designers, only after the design was entrusted to Fabiana Montesi and other professional fashion designers. At the same time it is developed the innovative plantar padding NO MORE PAIN for lady’s shoes, a unique feature that makes Bandolera a leading brand, present throughout the world with more than 80 dealers spread across in about 17countries, and which employs more then 45 persons: cobblers, employees, designers and other special lists. Cradled by the skilled hands of Italian master shoemakers and passionate and farsighted vision of a professional Argentine Tango Teacher that believes in his dreams, Bandolera has deeply changed the way of producing the notion of Tango Shoes.